This Snapshot shows Chelsea manager Glenn Hoddle unveiling new signing Ruud Gullit in June 1995. It is interesting to compare how the fortunes of the three parties have changed since then. For instance, let’s look at what they all did last weekend. Mid-table wannabes Chelsea are now chasing silverware every season and beat Sunderland 0-1 on Saturday. 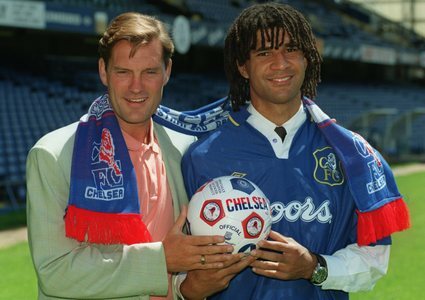 New star signing Gullit is now new LA Galaxy coach Gullit and led Beckham and co in a friendly against FC Dallas. 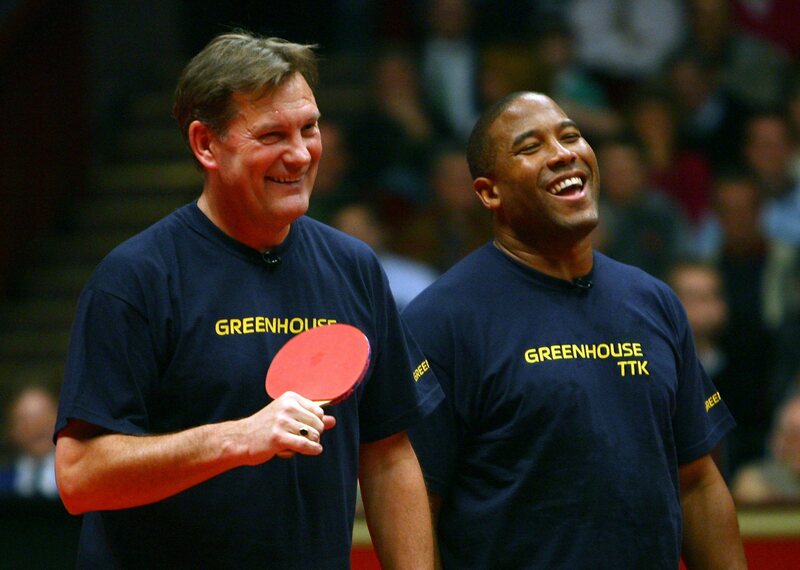 And Chelsea boss Glenn Hoddle won a charity table tennis with John Barnes as his doubles partner (photo after the jump).